Medical student education: In FY18, Office of Medical Student Education taught 810 UW School of Medicine and Public Health students through coursework, clerkship, preceptorships, required courses and electives. 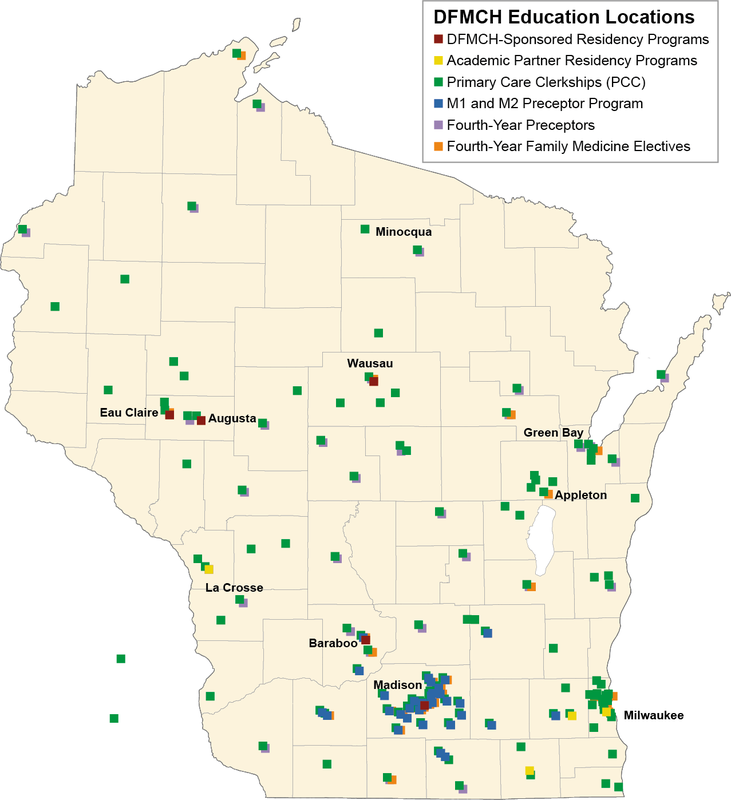 Residency: In FY18, 142 residents trained in our three-year, DFMCH-sponsored and academic partner residency programs in Baraboo, Eau Claire/Augusta, Elkhorn, La Crosse, Madison, Milwaukee, Waukesha and Wausau. All programs are fully accredited; six sites have also achieved osteopathic recognition.Of the 44 residents who graduated in FY18, 31 (71%) entered practice in Wisconsin. Fellowships: Academic, addiction medicine, complementary and integrative health research (CIHR) research, integrative health, primary care research and primary care sports medicine fellowships offered. Patient care: 18 statewide clinics in FY18 (became 17 clinics in FY19); 359,029 patient visits in FY18 (151,410 total patient panel). Research: $6.1M in grant awards in FY18. Research interests include addiction and substance misuse prevention and treatment, infectious disease surveillance and systems-engineering approaches for improving ambulatory care. 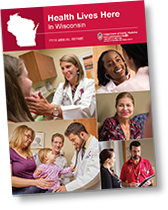 Wisconsin Research and Education Network (WREN) also conducts research in partnership with primary care clinicians and communities statewide. For more details, view our annual reports.